Natasha Khan just dropped her latest LP as Bat for Lashes with the arrival of The Bride, and she brought a pair of tracks from the melancholic marital tale to life on BBC Radio 1's Live Lounge yesterday (July 4). Accompanied by a full band, she performed "In God's House" and "Sunday Love." You can watch video footage of "In God's House" below. In the audio player beyond that, you can hear both tracks being performed live, as well as a brief interview with Khan. 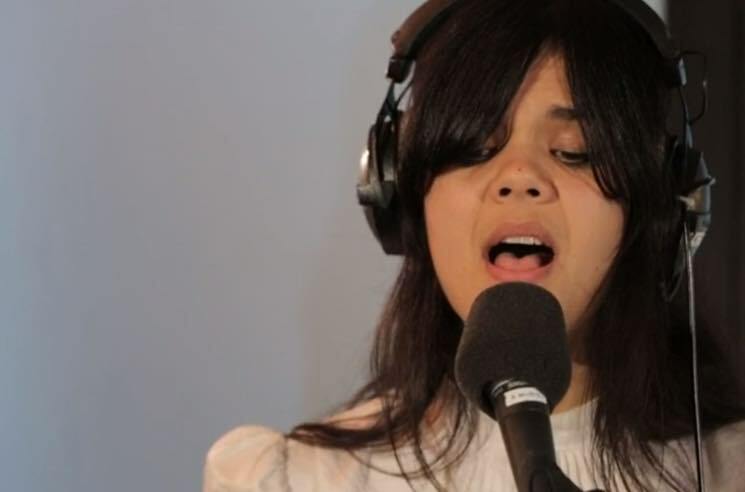 Check out Bat for Lashes' appearance on Live Lounge below. The Bride is out now through Parlophone.